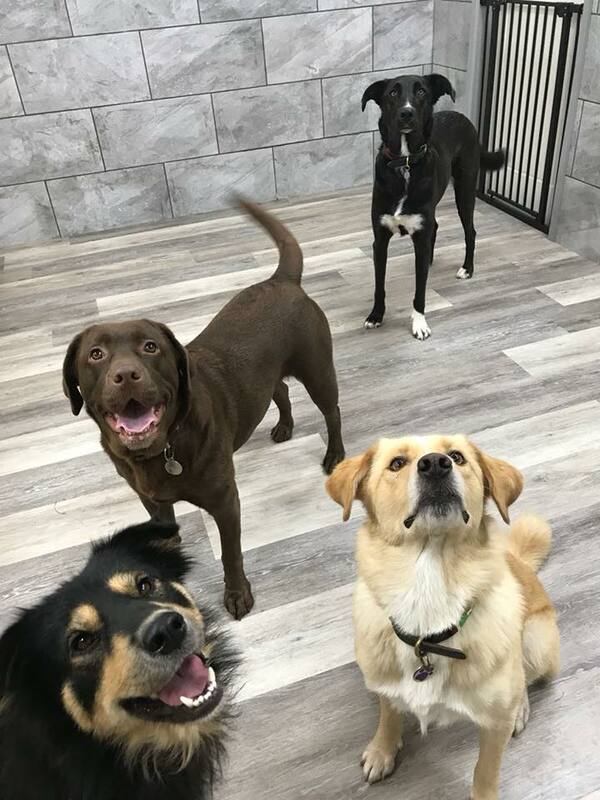 We are delighted to offer two luxury Doggy Daycare settings, Doggy Daycare is perfect for those who work during the day and would like their beloved pooch to enjoy plenty of walks, love and fun with their friends! Our service is very much personable and boutique, we take a limited, carefully selected group of dogs per day. This is to ensure your four legged friend is receiving the time, care and attention they deserve. Our Clarendon Road branch specialises in puppies and small breeds and our Elm Grove branch is fitted with higher fences and is a perfect daycare setting for medium to large breeds. We are proud to also provide an out of hours service, please enquire for further details. We offer an initial consultation in which you can view the crèche, meet the staff and run through yours and your dogs requirements. Please contact us to book this in. All of our regular dog crèche customers will be given a personal lead and coat peg, with a polaroid named photo of your gorgeous pooch. All dogs must show an up to date vaccination card before they can attend daycare and must have a yearly administered Kennel Cough vaccination. This is to protect all of the dogs in our care and prevent outbreaks to the best of our abilities. We aim to maintain high standards throughout and therefore cannot accept any dogs with fleas, worms or any forms of mange. Your dog will never be left unattended and will always have access to fresh drinking water, safe toys and comfortable beds.